Brooks Women’s Ghost 7 running shoes feature several design enhancements that are intended to multiply their utility value in challenging activities. From the midsole to the outsole, these running shoes help the wearer to achieve a perfect running gait and remain comfortable during hard sprinting and long training. Besides, these shoes have a marvelous traction and incredible enduring advantage. In the sporting arena, stealth is a factor that defines the competitive advantage of the running shoes. In many ways, these shoes allow you to stay ahead of the marathon with admirable swiftness because of their design advantages. The BioMoGo DNA midsole is soft and flexible with a perfect thickness that ensures the quality of stealth. As a result, of this quality, I have always felt great control of my legs and feet every time I hit the training ground. The assurance of superior support and comfort is one of the acknowledged merits of the Brooks Women’s Ghost 7 running shoes. You need to be stable and comfort in order to improve your general performance and enjoy the pleasure of running. With these qualities, these shoes are ideal for fitness enthusiasts of all ages, particularly those who insist on a strong combination of comfort and safety. 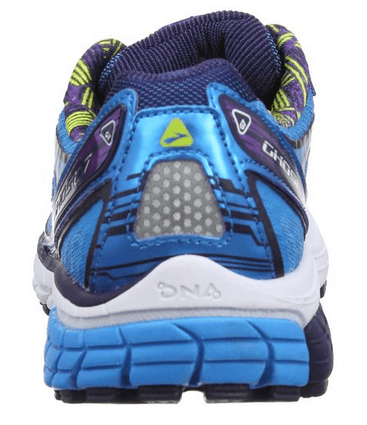 The support qualities of these shoes help you to remain steady without wobbly feet on the track. Outdoor activities can be troubling and tasteless if your running shoes are loose or uncomfortably tight. 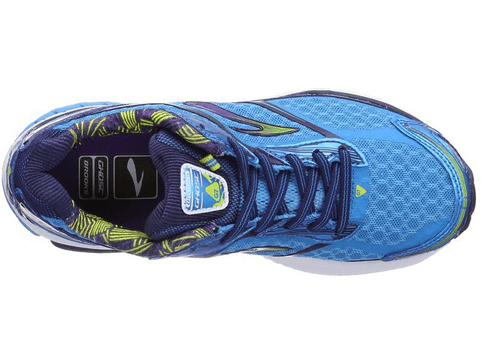 The mark of the difference of the Brooks Ghost 7 shoes derives from the unique improvements that ensure a quality fit at all times. The designers included the no-sew overlays feature, which helps the athlete to fit into the shoes easily and comfortably in readiness for practice. Several Brooks Women’s Ghost 7 Reviews consider this feature as one of the winning strategies that explain the shoes’ growing preference. Running shoes are supposed to make running easier and enjoyable. These shoes are ideal for different types of sports because of their lightweight advantage. These shoes only weigh 8.6 ounces, which makes them suitable for all kinds of activities that call for higher flexibility and swift feet action. There is also a health advantage of training with lightweight shoes. Any fitness expert will tell you that lighter shoes will help you cut down on the level of fatigue with remarkable ease. The moment you fit into these shoes, you will notice that your feet are perfectly cushioned and held comfortably on every side from toe to heel. The designers of these shoes made the right decision to enhance the quality of the midsole with the Omega Flex Grooves, which work excellently with the Heel and Midfoot Segment Crash Pad to enhance the quality of transition. High-quality ventilation to keep your feet dry. Tough and flexible outsole for improved bounce back effect. Yields sufficient traction for safety and stability. May show staining easily because of their flashy exterior. Requires regular cleaning to maintain their colorful appearance. Q. What is the weight of these running shoes? A. These shoes weigh 8.6 ounces, which is ideal for intensive training that requires high levels of flexibility. Moreover, the lightweight quality protects the wearer from excess fatigue. Q. Are these shoes available in varieties of color? A. Yes. These shoes are designed in multiple colors that cut across the different color tastes of the users. Q. Do these shoes generate sweat and heat? A. No. The shoes were made with a high-quality upper mesh and moisture management lining, which keeps your feet fresh and comfortable. 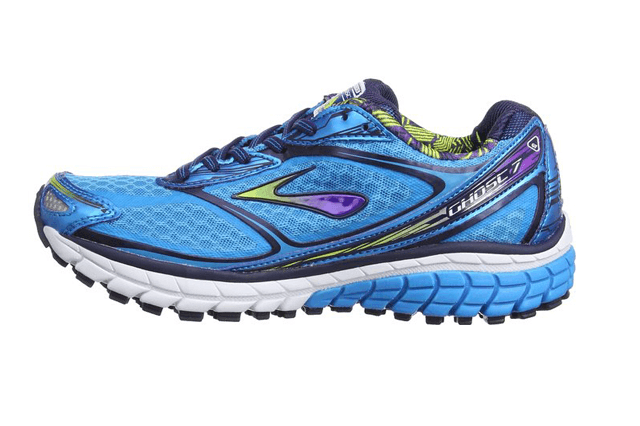 The Brooks Women’s Ghost 7 running shoes are remarkably fortified against the challenges of the training field. They stand apart from ordinary sneakers because of the triple advantages of stealth, performance, and aesthetics.